Avoid using 302s. We don’t recommend the use of 302 temporary redirects because they serve no purpose, SEO-wise and are considered a band-aid fix. Don’t delete web pages. If there are pages you do not like all you have to do is to change the page’s content or you can simply redirect your visitor to another page. Know when to use 404s. There are few instances in which you should not 301 a particular web page such as if bad inbound links were targeting that page. If this is the case, and the page in question isn’t at all valuable, then you can simply leave a 404 and don’t redirect the page. That’s because if you redirect then the toxic juice will also trickle to the new page. With a 404, it will stay on that page and not have an impact on your entire website. Using 404s should be kept to a minimum but if you have a few 404s then you should know how to customize the page correctly. The truth is, a 404 can actually be an excellent tool for keeping your users on your website and it can be used for marketing as well. First you should create new sitemaps both in XML and HTML. Keep your site maps up to date especially during your website redesign. If you are moving new content to another URL, you should ensure this is reflected on your sitemap. Then make sure you have tracking codes in place. You should have your analytics tracking code in the source page, and your landing pages needs to be tracked with the right codes. At some point you will experience a drop in your traffic when you redesign your website. 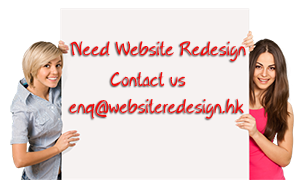 However, any major loss is prevented if you simply use a good strategy for your redirects and error pages. Then again there are simply too many great benefits to your website redesign.